Home Articles Car & Driving Technology Is Uber Myspace or Facebook? Can the Rideshare Giant Survive the World It’s Created? Is Uber Myspace or Facebook? Can the Rideshare Giant Survive the World It’s Created? But the rideshare giant is having a much harder time living up to another crucial descriptor: permanent fixture. Over the past 9 years, the company’s app has been downloaded on millions of phones across hundreds of cities and 65 countries, making its continued existence seem all but inevitable. But the new reality it has helped create is an exceedingly harsh one. Uber’s greatest successes are clearing a path for eager upstarts to come for its crown, which seems to be increasingly in need of defending. Despite its pioneer status and its related roll as one of the world’s first so-called “unicorns”, the company has turned a profit only once in its history—in a quarter laden with caveats. And after several seasons spent bleeding out its investors’ money—to the tune of billions of dollars a year—Uber’s business plan seems to exemplify a much less desirable adjective: unsustainable. It may be the world’s most highly-valued private business, but is Uber too big to not fail? In many ways, Uber was built on bro culture braggadocio, and its financial philosophies are no exception. The company has often postured itself as the person who dresses for the job they want: all flash and confidence when public-facing but a monetary mess behind closed doors. To be sure, its recently estimated IPO target of $120 billion would lend some serious swagger to any business, and the figure marks an especially exceptional bit of news for a company expected to go public later this year. Uber’s true worth can only be determined by investor interest once it officially opens up to the whims of the stock market. Still, Uber’s true worth can only be determined by investor interest once it officially opens up to the whims of the stock market, and if its recent track record with corporate backers is any indication, the company may have a tougher time selling itself than previously thought. The projected initial public offering is nearly twice as much as Uber’s most recent valuation, which clocked in at a relatively modest $68 billion. And even that number represents a deflated figure, after several key Uber investors—including early backer Benchmark Capital—unloaded a huge amount of shares last year, allowing Japanese powerhouse SoftBank to snap up 15% of the company for a sale price of 30% off. Its earnings reports are no less problematic, with Uber posting a loss of more than $1 billion in 2018’s 3rd quarter alone, after weathering a 2nd quarter that saw it $891 million in the hole. And the unfortunate figures follow up on a 2017 when Uber recorded an overall loss of $4.5 billion. With its financial margins creeping in on all sides, the company is quickly running out of ways to match its astounding IPO estimate—short of hoping that many would-be investors don’t read the business section. Rideshare Empire: Built to Fail? But Uber’s ocean of red ink should come as no surprise. In many ways, the company has been a profit sieve all along. Though the digital landscape of its birth has allowed it to streamline savings by ignoring a world of regulations, Uber is also a victim of that mechanism’s propensity for making any service ubiquitous and, therefore, cheap. As a result, it’s yet to contrive a business model capable of producing net revenue. Instead, the company finds itself buying customer loyalty—literally. Uber functions, and always has, by subsidizing every ride it offers. Much of its billion-plus loss in Q3 ’18 can be traced back to the practice. During that same time period, it was reported that Uber was giving out rides at around 74% of their cost to the company. In 2017, that number was purportedly closer to 64%, helping lead to a yearly profit margin of negative 57%, according to the analysis by New York Magazine. And those figures pale in comparison to 2015, when Uber footed 57% of each rider’s bill, contributing to an annual profit margin of negative 132% that year, the report goes on. Yet while things seem to be improving for the company’s bottom line, much of that recovered ground has come at the expense of Uber’s drivers, who have seen their overall cut of each fare drop from 80% in 2015 to a current rate of 70%, according to the New York Magazine report. Another survey, commissioned by J.P. Morgan, found that Uber and Lyft drivers have seen their take-home pay halved—from an average of $1,500 per month to $762 per month—between 2013 and 2018. But underpinning the reliance on a money-losing business model is a strange set of circumstances that give Uber few options beyond chipping its drivers to stanch the outflow of funding. Indeed, Uber’s innovative marriage of tech and transit makes the road to marketplace dominance—or even a consistently profitable product—extremely narrow. The company misses out on 2 key financial concepts that have helped propel many of its Silicon Valley frenemies to unicorndom: network effects and economies of scale. The former proposes that the more users a product has, the more valuable it becomes, which is certainly the case for social network behemoths like Facebook and Twitter. And the latter has long provided a lucrative model for software companies, describing a scenario where per unit costs decrease as a company increases its output. Despite its high-tech origin story, the company is in many ways a modern-day taxi service, and the expenses attached to such a venture are not improved by size or scale. Ironically, it’s Uber’s involvement in the mobility sector that makes it so much less nimble than its neighbors. Despite its high-tech origin story, the company is in many ways a modern-day taxi service, and the expenses attached to such a venture are not improved by size or scale. Regardless of how many cars Uber has on the road, it will still be on the hook for the same number of costs, like driver pay and insurance—bills which in fact grow with the workforce, rather than shrink because of it. Earlier this year, that economic trap was borne out when it was reported that the company’s cost-per-ride ate up 90-95% of its revenue, meaning that even an additional dollar of sales came at the cost of roughly 90 cents. In the past, Uber has seemingly tried to combat this with the brute force of expansion encouraged by network effects, but the mechanics of the economic system are lost on the rideshare giant—or bind it to a perpetual fight for the basement, at best. The problem is, again, of the app company’s own making, with the wrecking ball it took to the traditional transit marketplace creating a wide-open rideshare bazaar, where cutthroat competition and price wars abound, and only serve to reinforce Uber’s money-losing strategy of subsidizing rides. For example, Uber would of course benefit from muscling out all other competition in a given location. But the number of users it collected would do nothing to protect it against any new challengers on the scene. Instead, rivals would have the advantage of undercutting a fixed market price, erasing Uber’s path to profitability, and locking both entities into a self-fulfilled prophetic race to the bottom, which would continually drop out. Indeed, the impossible circumstances give Uber few tools with which to manage its own destiny—aside from gambling on a diversified portfolio. Uber Eats has created big revenue opportunities for the rideshare company. Uber has also diversified into e-bikes and scooters to try and stem the bleeding of profit loss. Dara Khosrowshahi has been weaning the company off its empire-building tendencies since he stepped in as CEO last year. In his first 16 months at the helm, the Uber chief had the company pull out of a number of foundering foreign markets, settling instead for influence on the boards of international rideshare companies and the savings that would come from no longer competing against them. He also pulled the brakes on some of Uber’s most expensive experiments, including the development of autonomous trucks. Instead, Khosrowshahi has had the company focused on fostering a number of new revenue streams, from freight hauling to food delivery—a plan which has shown some early signs of promise. 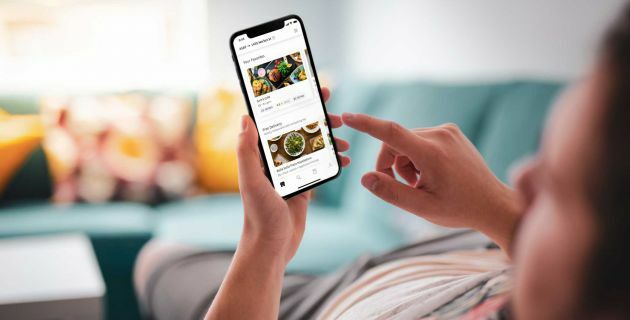 The renewed investment in Uber Eats alone yielded $2.1 billion in 2018, marking a 150% jump from the previous year. And the new CEO even has the rideshare business dabbling in other forms of transportation, staking a $200 million claim in e-bike and scooter company JUMP this past spring. It may not be enough to close the Pandora’s Box of disruption the company opened 9 years ago, but the new bout of strategies may just allow Uber to live long enough to fight off some of the demons it unleashed.